The terrorist outfit Mujahideen-e-Khalq (MEK, MKO, Rajavi Cult) is now a 'democratic organisation'. Here's how they did it. The Bush administration's war on terror is the gift that keeps on giving - in not exactly mysterious ways. In the same week of the UN General Assembly in New York - buzzing with competing fiery speeches by Iranian President Mahmoud Ahmadinejad and Israeli Prime Minister Bibi Netanyahu - the US government is bound to formally delist the Iraq-based anti-Iranian outfit Mujahideen-e-Khalq (MEK) as a terrorist group. "The decision opens the door to Congressional funding of the MEK to conduct terrorist attacks in Iran, makes war with Iran far more likely, and will seriously damage Iran's peaceful pro-democracy movement as well as America's standing among ordinary Iranians." According to the Iranian pro-democracy newspaper Kaleme- run by the Green Movement - "there is no organisation, no party and no cult more infamous than the MEK amongst the Iranian nation". No question; millions of Iranians despise the cult-like MEK, especially because it was aligned with Saddam Hussein during the 1980 to 1988 Iran-Iraq war. During the war, the MEK's one and only obsession was to destroy Supreme Leader Ayatollah Khomeini. Not that they had any chance, with a ragtag army assembled in Iraq launching a pathetic offensive inside Iran in 1988. 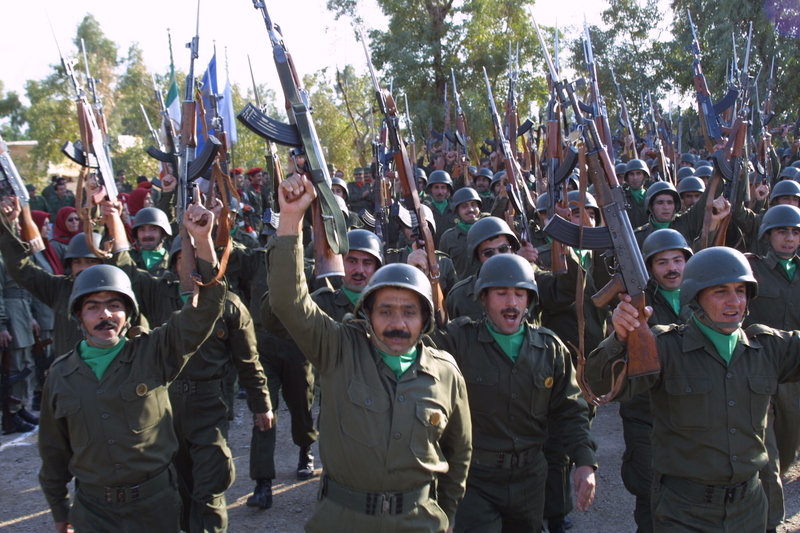 After the Tehran-Baghdad UN-brokered ceasefire of 1988, the MEK remained active in Saddam's Iraq during the 1990s - now reconverted to go after Iraqi Kurds. That's when the Clinton administration labelled them as "terrorists" - responsible for the assassination of US citizens in Iran before the Islamic revolution. One of the key reasons for the current upgrade is that the MEK seems to have agreed to leave its Iraqi base at Camp Ashraf and are about to relocate to a new US-built camp near Baghdad. 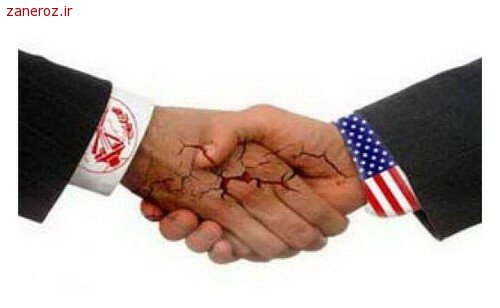 In spite of a torrent of denials, every shisha house all across the Middle East knows the MEK is trained - and funded - by Washington and Tel Aviv, and that includes training on US soil. The MEK and its self-defined "political section" - the National Council of Resistance of Iran (NCRI) - are notorious (extremely unreliable) US intel sources on Iran's nuclear programme. In February, NBC News admitted, "deadly attacks on Iranian nuclear scientists" were being carried out by the MEK, "financed, trained and armed by Israel's secret service". Predictably, NBC was careful not to investigate any US connection. Unsurprisingly, the popularity-deprived US Congress erupted in joy to salute the State Department's decision - especially usual suspects such as Dana Rohrabacher (Republican from California), Ileana Ros-Lehtinen (Republican from Florida - the chair of the House Foreign Affairs Committee), and Ted Poe (Republican from Texas). 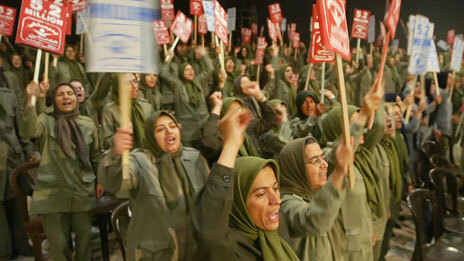 They all have repeatedly hailed the MEK as a "democratic organisation". So how do you land an upgrade from terrorist to democrat? That's a no-brainer; you hire the best lobbying money can buy - and invest in effective PR. In MEK's case, that's been the job of three top Washington firms; DLA Piper; Akin Gump Strauss Hauer & Feld; and DiGenova & Toensing. These three have bagged nearly $1.5 million over the past year to legitimise MEK at all costs. Once more this is the true and tested way to bury a bloody history of bombings and assassinations that killed not only US businessmen and Iranian politicians, but also thousands of unaccounted for Iranian civilians. There's nothing like a cool PR touch - in English, of course - to reconstruct a bunch of nutcases as loyal US allies fighting the "evil" Tehran regime. Congressmen and the proverbial armies of "former officials" - ubiquitous in the media - are suckers for this kind of stuff. How come the mighty al-Qaeda never thought about it? MEK's money - donations from the Iranian diaspora channelled through a web of shady organisations in Florida, Texas, Colorado and California - bought a muscular bipartisan portfolio. That includes everyone from former mayor of New York and eternal 9/11 raconteur Rudy Giuliani to journalist Carl Bernstein; at least two former CIA directors; former Pennsylvania governor Ed Rendell; former NATO chief Wesley Clark; former New Mexico governor Bill Richardson; and former chairman of the Joint Chiefs of Staff, General Hugh Shelton. It has been established, for instance, that Shelton, former FBI director Louis Freeh and former attorney general Michael Mukasey (who oversaw terrorism cases), among others, definitely profited from it. This is a decent roll call of most who joined the bandwagon. In June, former Republican presidential candidate Newt Gingrich went to Paris for a pro-MEK rally alongside the cult outfit co-leader, Maryam Rajavi. The Treasury Department did begin an investigation of "speaking fees" - some of them up to $40,000 a pop - collected on behalf of MEK. Yet it's unclear whether this particular investigation will have legs. In cases involving Hamas and Hezbollah, people did go to jail for providing indirect financial support. But then again both Hamas and Hezbollah have not been "upgraded" to "democratic" status in the US. Then, there's the curioser and curioser Clinton angle. The MEK was added to the terror list during the Clinton administration because Bill Clinton was trying to charm former Iranian President Muhammad Khatami. Now, as Secretary of State, Hillary Clinton has disclosed "classified" information about MEK to Congress, certainly involving the identity of Iranian nuclear scientists. So from Saddam's puppets, MEK have finally graduated to CIA and Mossad puppets. Expect from now on the usual rash of unnamed "US officials" insisting the upgrade does not mean the US government is an official supporter of MEK. That will be yet another stance of "leading from behind". It goes without saying this also works as a priceless PR coup for the military dictatorship of the mullahtariat in Tehran - who will take no prisoners in depicting Washington to be in bed with a terrorist outfit that even US intelligence admits is a facilitator of Mossad-style assassinations of Iranian scientists. Terrorist groups of the world, unite; you have nothing to lose but your non-access to an ace Washington PR firm. It's time for all of you to be rebranded as "terrocrats".